Coleman A. Young II campaigning last month at Clique, a local diner in Detroit, for the coming mayoral race. 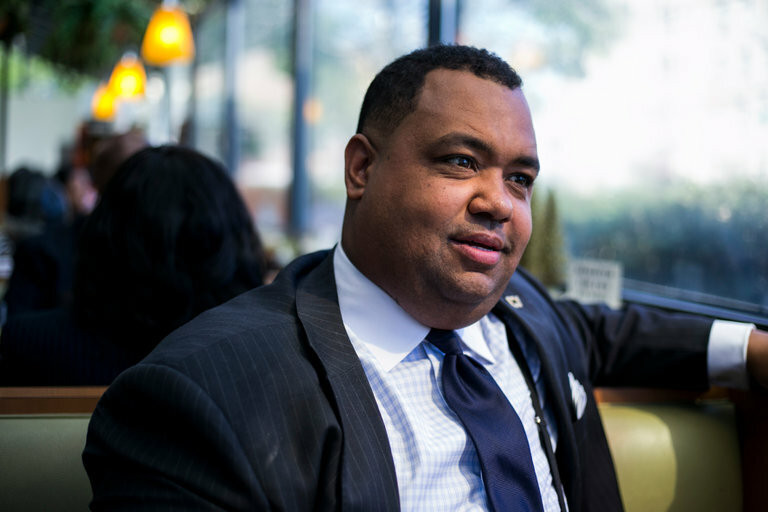 Mr. Young, 34, a state senator, is the son of Detroit’s first black mayor. 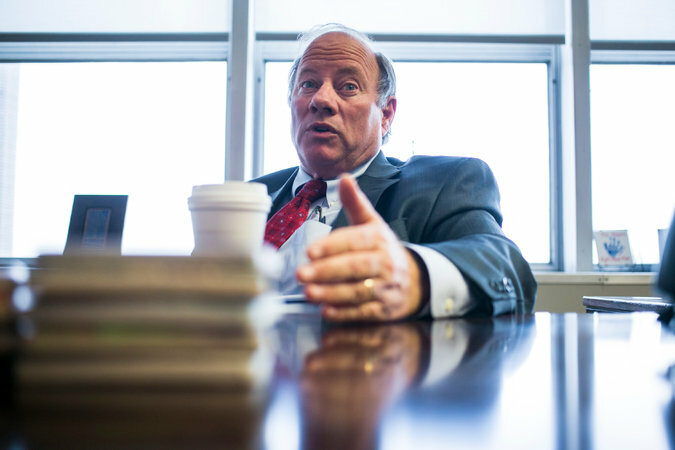 Voters in Detroit on Tuesday narrowed their choices for the city’s next leader to two: Mike Duggan, the incumbent mayor who has overseen the city as it has emerged from bankruptcy, and Coleman A. Young II, the son of Detroit’s longest serving mayor. With a vast majority of precincts counted, Mr. Duggan, 59, who was elected in 2013 as the city’s first white mayor in four decades, had a wide lead among eight candidates in the nonpartisan primary late Tuesday. Mr. Young, 34, a state senator whose father was Detroit’s first black mayor, was running a distant second. The two men, who are Democrats, will face each other in a general election on Nov. 7, The Associated Press said. The election will be a test of disparate issues in a city that, in a matter of only a few years, has experienced the nation’s largest ever municipal bankruptcy, a downtown building boom, and a struggle to rid itself of thousands of vacant, crumbling buildings. Mike Duggan, 59, the incumbent mayor, at his office last month. Mr. Duggan, who was elected in 2013 as the city’s first white mayor in four decades, was far ahead among eight candidates in the nonpartisan primary. Critics had predicted that the city might take years to emerge from bankruptcy, and that any glimmer of a renaissance would take even longer. But signs of improvement have piled up. Streetlights are on. Police response times have dropped. And some home sales prices have risen.